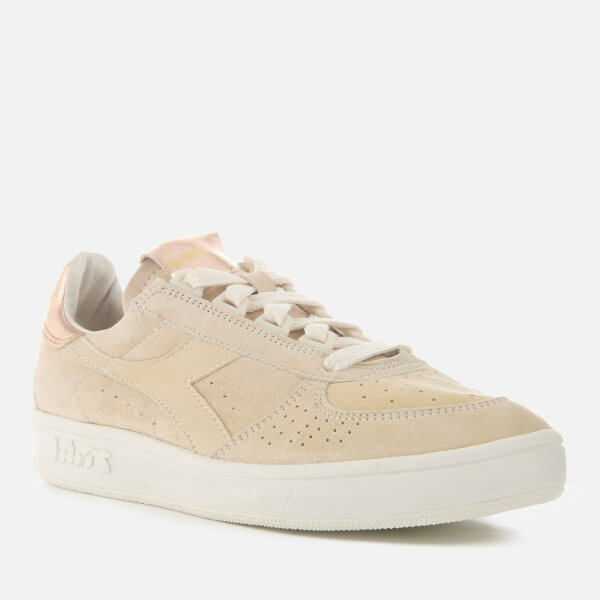 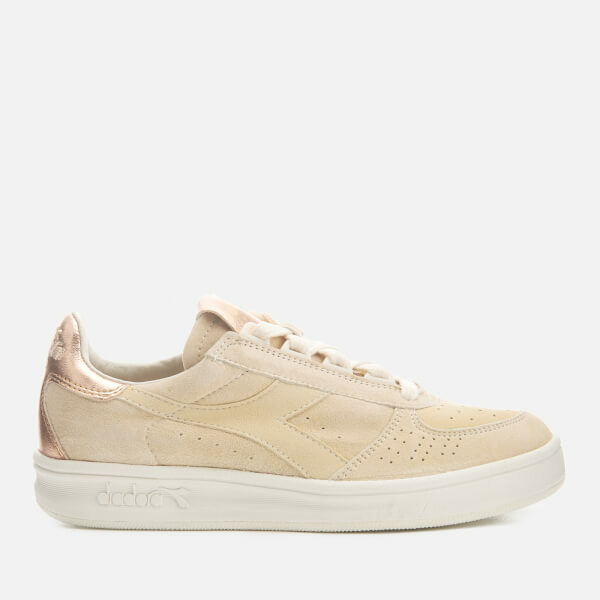 Women’s ‘B.Elite’ beige suede court trainers from Diadora Heritage. 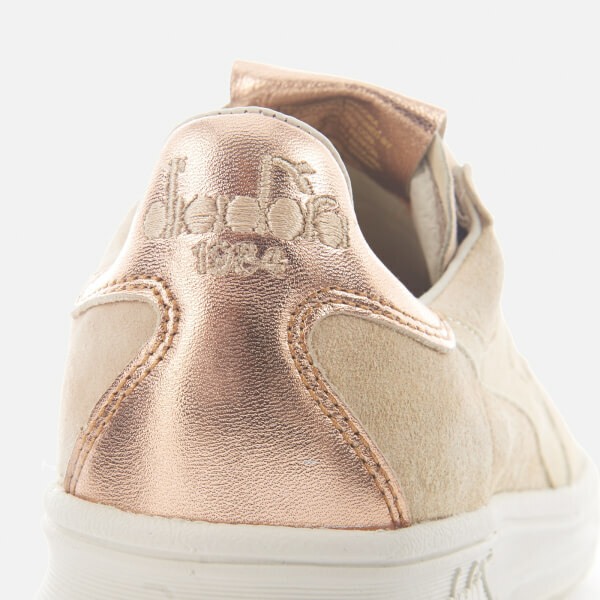 Crafted with smooth suede uppers, the sneakers are detailed with rose gold metallic leather around the heel, perforated detail to the toebox and the signature logo to the sides. 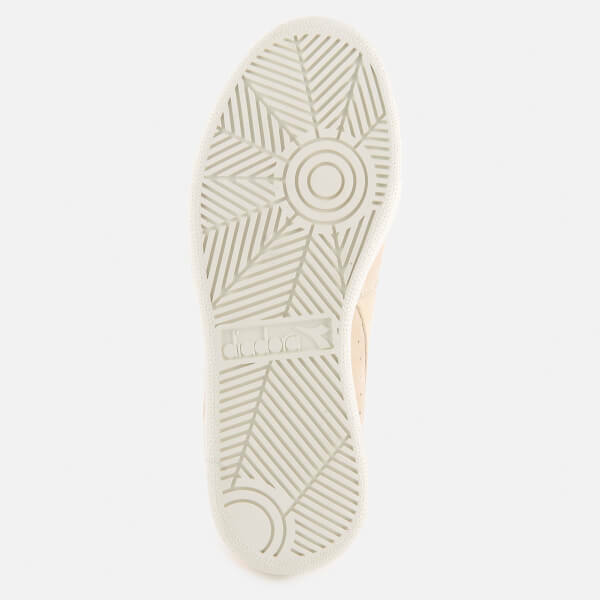 Set on a white rubber sole, the trainers are finished with tonal D-ring eyelets, a textured outsole for increased grip and signature branding on the heel and tongue.